Strong is the new Skinny! Workout in convenience and style while protecting your new device against scratches and damages with this high-density Neoprene armband. The cover itself is made out of Scratch-resistant material that has been woven over to make it as dense and protective as possible. Our added layer of sweat resistant plastic in the interior side prevents sweat from your arm to not damage your device. Also we added Extra features such as: a small strap to wrap and secure your excess headphone cord, the comfort key pocket which holds your key so pockets/locker are not needed when going into the gym or on a run, and the Vangoddy Armband is equipped with an optional length extender to make our Vangoddy Armband truly a One-size fits all. We wanted to make sure your device was safe and secure once inside the armband without sacrificing comfort - and we believe we accomplished just that. 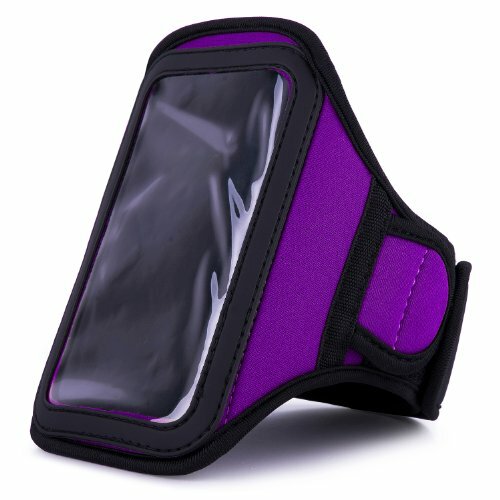 Defend yourself, defend your device: Get the new Vangoddy Neoprene Exercise Armband. Device NOT included.